“Go astray” for a change and, instead of the central street, discover this family tavern that is “nested” for the last 14 years in one of the cobbled, downhill little streets of the village! 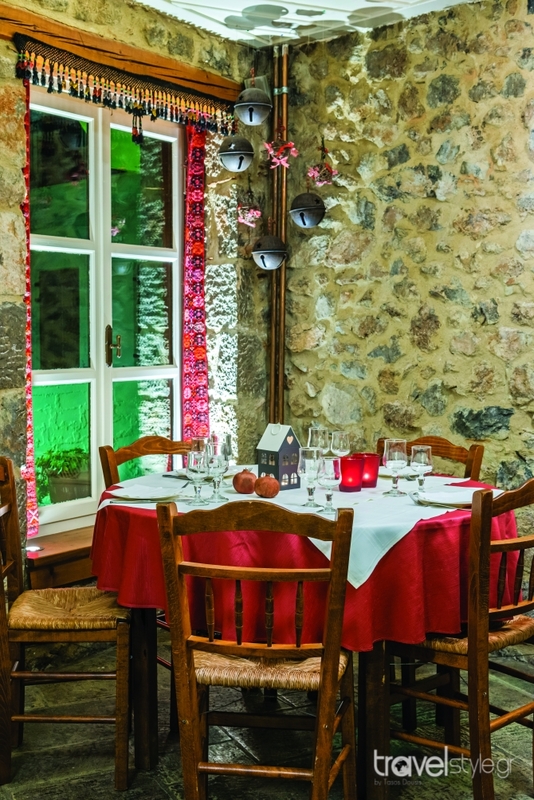 You will be impressed at first sight by the atmosphere in the cozy little hall with a view to the picturesque alley, while the homemade delicacies prepared by Mrs. Kaiti herself with traditional recipes in modern versions with pure, high-quality products will make you want to come back again and again! All the above have deservedly put this place on top of the preference list of every food lover! The lamb fricassee (divine), the cabbage rolls, the baked eggplant and the homemade pies are a must! Tip: For the entrance to the tavern, up the stairs next to OTE building. From €15. Daily 12:00-00:00 (in the winter).